VARESE SARABANDE: Some of literature’s most terrifying characters, including Dr. Frankenstein, Dorian Gray, and iconic figures from the novel Dracula are lurking in the darkest corners of Victorian London. PENNY DREADFUL is a frightening psychological thriller that weaves together these classic horror origin stories into a new adult drama starring Timothy Dalton, Josh Hartnett and Eva Green. Origin: A penny Dreadful (also called penny horrible, penny awful, penny number, and penny blood) was a type of British fiction publication in the 19th century that usually featured lurid serial stories appearing in parts over a number of weeks, each part costing one (old) penny. The term, however, soon came to encompass a variety of publications that featured cheap sensational fiction, such as story papers and booklet "libraries". The penny dreadfuls were printed on cheap pulp paper and were aimed at young working class males. 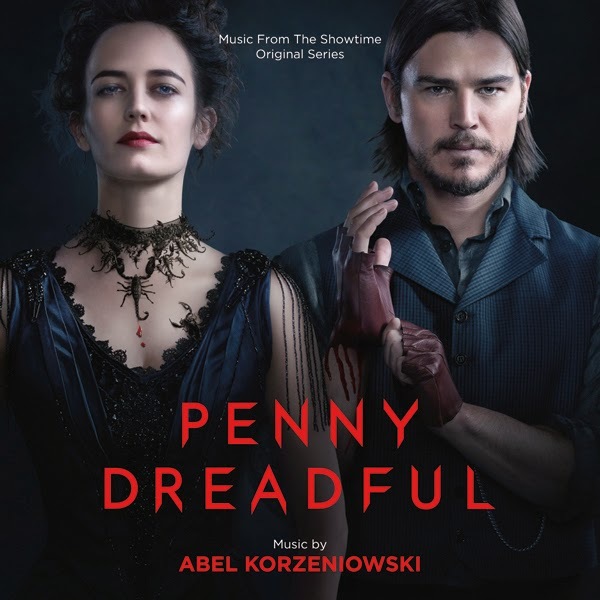 Just what you might expect... some scare, some romance and all DREADFUL... Nicely done score by Abel Korzeniowski, still trying to get to watch the series... as for the score it works well on it's own.